As we begin the spring season, this month we are offering advice on air conditioning system s for Audi, BMW, BMW Mini and Mercedes vehicles. As we are all too aware, the UK winter months can be extremely changeable in temperature and so we tend to prefer to put on the heating, rather than switching on the air conditioning! 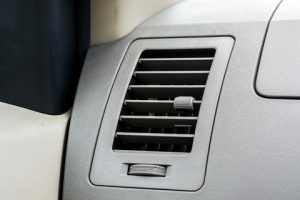 This means that through the winter, for up to approximately 6 months our car air conditioning systems are often left stagnant, which can affect their components. Here at Stourbridge Automotive Ltd, we always recommend running the air conditioning systems a couple of times throughout the winter months, to keep the parts in good working order. In addition to this, it is also recommended that you should recharge your air conditioning system every 2 years with gas and lubricant to keep it running efficiently. As this is not part of your MOT Test or routine Audi, BMW, BMW Mini or Mercedes service, it can often be overlooked and so it is worth being mindful of this. Historically, Stourbridge Automotive have carried out air conditioning recharging and servicing on r134a systems for a number of years now. However today, most vehicles now use a new gas in the air conditioning system which is known as r1234yf and so we are pleased to notify customers that we now have the equipment on-site at our workshop, to carry out this work on newer vehicles. The change from r134a to r1234yf arose in an effort to reduce harmful gasses which can be released into the environment and take a number of years to break down into non-harmful gases. The new refrigerant is now 97% less potent in trapping heat in the atmosphere at just GWP 4, compared to its predecessor of GWP 1340 – a huge reduction in releasing harmful gases. This new system is only valid in EU countries, however many American dealerships are now adopting the change due to stricter new standards in terms of fuel economy and greenhouse gases. To find out more about how Stourbridge Automotive Ltd can service your vehicle’s air conditioning unit please contact us or see our Air Conditioning website page for more details.